HOME > TECH > IBM’s Technology Sharing Agreement with Chinese Company Ruffles Feathers in the U.S.
IBM and China’s Beijing Teamsun Technology have signed a partnership agreement that allows the Chinese computer systems provider to develop and sell products in China based on IBM-developed technology, a move that has received opposition from the U.S. government, the Shanghai-based The Paper reported on Wednesday. IBM will be open to Chinese enterprises, not only to share its designs with them, but also to help them carry out design work on next-generation microchips, Wang Yang, IBM senior vice president and general manager of the company's China Development Center, said in a statement on March 21. A day earlier, IBM and Teamsun made a joint announcement on their cooperation program, with Teamsun given access to technology developed by IBM to create domestic innovation products. The sides reached an agreement earlier in November on databanks, with IBM giving Teamsun the authority to use their Informix software source codes. According to several media reports, U.S. trade bodies led by the American Chamber of Commerce have sent letters to the Chinese and U.S. governments, calling for China to suspend the implementation of network supervisory rules and requesting the White House to respond to its Chinese counterpart on related rules. The Obama administration is wary of the information security component found in the draft of China's anti-terrorism law, and IBM's recent collaboration with Teamsun and handing over of source codes will make the U.S. government even unhappier, The Paper said in its report. On March 2, President Obama told Reuters in an interview that Beijing's new rules are unfavorable to U.S. tech companies and called for the Chinese government to revise its policy. 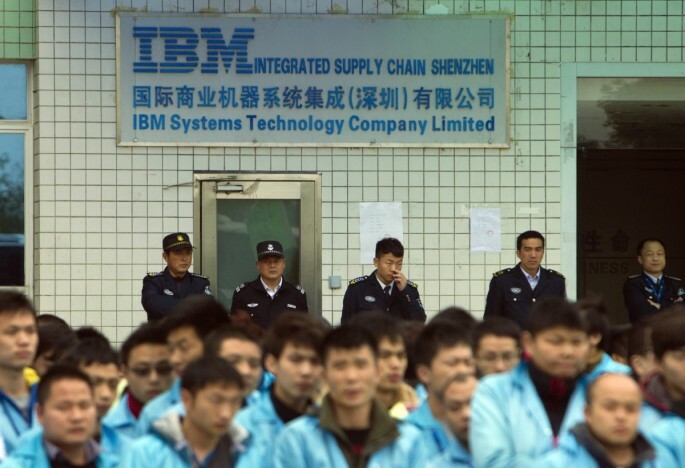 In a statement, IBM said that its agreement with Teamsun is not intended to be a response to the new Chinese policy, and that it is seeking a win-win situation that allows more people access to and apply IBM's technologies. Wang said that IBM wants to focus on Chinese enterprises due to the high demand in China, the world's second-largest economy, adding that the company also hopes that the partnership will accelerate development in the country. The Chinese government has cited the recent leaks made by former NSA contractor Edward Snowden over U.S. government surveillance as leverage to present foreign tech firms as potential threats to information security and to focus on developing domestic production of IT products.